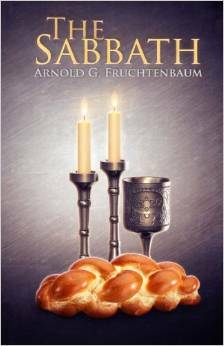 I’m in a bible study where we are going through Dr. Arnold Fruchtenbaum’s book entitled “The Sabbath” and in this book Fruchtenbaum comprehensively reviews all verses in the bible dealing with the topic of the Sabbath. It is a thorough book and one that is enlightening and instructive. I would recommend it to anyone that is looking for a resource that gives valuable insight into the bible verses that talk about the Sabbath day. Though having said this, I should inform the reader that I actually disagree with Dr. Fruchtenbaum on the conclusions that he draws in a number of his chapters on the Sabbath. I will spend the next couple of blogs walking through this insightful book and discussing areas in which I disagree and why so as to give potential readers of this book more things to think about. Is the Sabbath a creation ordinance? At this point, let us assume that the Sabbath is a creation ordinance. If so, it would mean that it is obligatory for both Jews and Gentiles, since it was given before there was any distinction between Jews and Gentiles, a distinction that only began with Genesis 12, not Genesis 2.